Now you shop online, you can call for a taxi online, you can search and book a movie date online - business which was actually offline earlier is reaping more profits simply by going online. So why not your truck business? On-demand, services have changed their faces with the help of online support and if you are offering an on-demand solution to your customer, it’s to move with the time. With 18.98 million population, Delhi is the capital of India and has witnessed a great boom in the industrial growth in the last few decades. 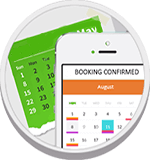 With great exposures to a number of administrative and infrastructural advantages, online truck booking in Delhi is sure to get a great kick-off. And to give this business a new look you TruckGuru explored their entire services like movers and packers in Delhi by going online. TruckGuru is a popular name in the logistics and cargo services in Delhi who are able to offer on-demand car transportation and online shipping service anywhere in Delhi. 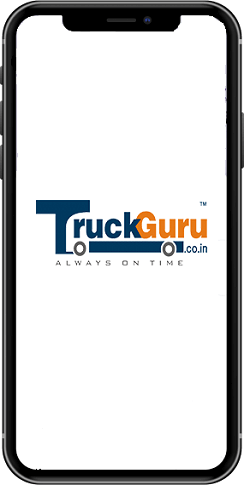 TruckGuru allows you to do an instant booking for any kind of trucks to ship your goods anywhere in Delhi. Whether you want to move goods from Narela to Old Delhi or Noida to Gurugram or may be in any other states of India such as Mumbai or Bangalore. Get your trucking needs confirmed under one roof. TruckGuru deals in all types of good movements, both in full load and part load capacity. You can easily take the advantage of their services like car transportation, cargo shipping or movers and packers in Delhi and a book a desirable truck against each shipping. 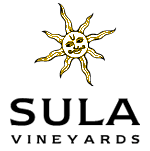 You can also download their online shipping service app to hire trucks. Movers and packers in Delhi cater not only full truckload services with powerful truck models like- Eicher, Tauras, Tata 407, Mahindra, but if you are looking for a part load you get also the services like a parcel, packages, and bulk courier delivery. TruckGuru helps transportation of goods and cargo services in Delhi and across pan geographic locations. The people behind TruckGuru has developed the most professional platform that offers online truck booking in Delhi. We support 3PL solution for SMEs and large companies, including bulk parcel delivery in, door-to-door and express delivery to the industrial and non-industrial region in and out of Delhi. TruckGuru is a user-friendly online platform integrated with a number of outstanding features to book home relocation service in Delhi. Movers and packers in Delhi is not only one of the leading transportation provider in Delhi, with their headquarters in Gujarat, they have slowly built a strong base across India. They have also introduced some of the revolutionizing home relocation services in Delhi, Their car transportation in Delhi allows to transfer goods to any destination in less time. The services they get are user-friendly, rapid and cost-effective and also time-saving. With this online trucking booking in Delhi, you get the advantage to track goods in real-time, connect with the driver during transport and carry out required communication much faster. Movers and packers in Delhi have the ability to provide logistics services in Delhi along with other states in India. The capital city of India, not only enjoys the central location connected to every part of India through NH 1, 2, 8, 10 and 24. With a number of expressways and upcoming inter-city connecting roads like the one connecting Noida and Faridabad for New Delhi allows faster movement of goods within the city and outskirts. With more than 90,000 manufacturing companies in Delhi, there is a huge demand for online truck booking in Delhi. So if you need services like mover and packers in Delhi or online shipping services or cargo services in Delhi, visit TruckGuru’s new website or just download their app to manage your transportation needs in real time.